We're surrounded today by great experiences tailored just to us. From the personalized movie recommendations served on Netflix, to product recommendations on Amazon, and even customized search results we get on Google. Yet, when we venture to a company website, it feels impersonal. It's the same experience time after time, never changing or evolving as our relationship with the company grows. As marketers, we've sought after personalization for a long time. Yet, until now we've traditionally just built our websites on a siloed system that had little access or integration with actual data about the individuals visiting your website. So why is this experience so good for us as individuals but poor for buyers? Today, we're fixing that. HubSpot CMS is the first and only combined CMS and CRM that offers the ability to personalize your entire customer experience from the first visit to every single interaction afterwards. The people visiting your website aren't static, so why should your website be? Hint: It shouldn't. As your relationship grows, your website should evolve. We built HubSpot CMS with that in mind, and it's designed to help you deliver an exceptional customer-centric experience. With that said, let's walk through some of the core capabilities of HubSpot CMS. Your CMS is the foundation of all your marketing, so choosing a platform that will help you grow is key. We recommend HubSpot CMS to all our clients, because there is no other option on the market better suited for marketers at growing companies. Speed, security, and reliability provide the foundation of all your marketing, so that's why we've made these core to HubSpot CMS. 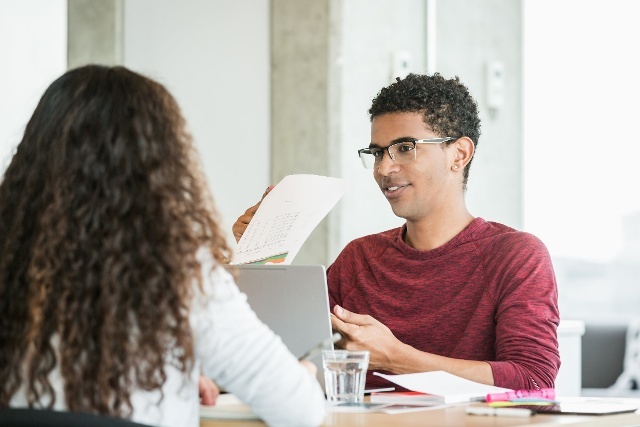 Security: As a marketer, security is likely not your top concern, but there practically isn't a day that goes by with another reported data breach or hacking incident. This can not only be bad PR, but a lack of security can also hurt your search rankings. With HubSpot CMS, your site — and all your data — is secure. From our global CDN that will automatically help adjust and prevent DDoS attacks, to our Web Application Firewall that prevents unwanted hackers from trying to access your data, to our security team at HubSpot constantly monitoring the health of the network, your website security is always top of mind. Reliability: HubSpot CMS has 99.999% uptime which means your site will consistently be available, and if one data center ever experiences an interruption, another location will automatically take over so that you won't lose visitors. Only you will know the true cost of downtime to your business, but many studies have estimated the cost of an SMB website going down to be between $50,000 and $100,000 per hour, which doesn't even include the potential impact on perception of your brand. We'll admit, we're not perfect here, but we're constantly learning, growing, and improving our service to be better. Content creation and management is at the core of any CMS. HubSpot CMS enables you to easily create blog, landing page, and website content by selecting from one of thousands of templates on the marketplace or creating one from scratch. Using drag-and-drop modules, you can easily build or modify any page or have a developer dive in to code. Drag-and-drop modules: Drag and drop modules on any page to re-arrange the layout or just modify content on the page. If you want to extend the capability of your website, there are hundreds of modules — both free and paid — available on the marketplace. 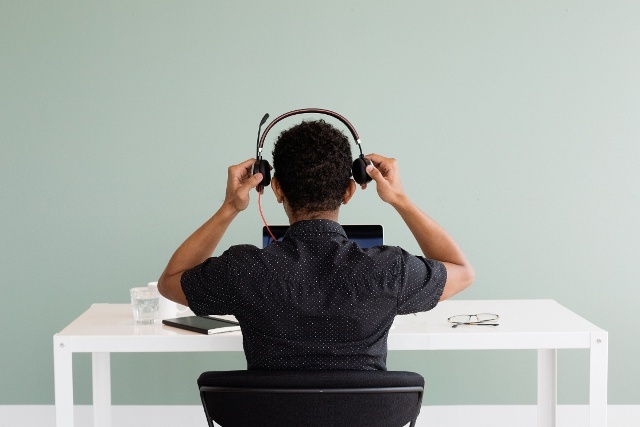 Content strategy and SEO: Plan your content and SEO strategy with HubSpot, then use on-page SEO optimization advice to ensure you're on the right track. No additional plugins or tools required. Mobile optimization: Any content you create within HubSpot (or templates you get from the marketplace) is automatically optimized for mobile without any additional work required. Content staging: If you're making a lot of changes to your website, like during a product launch or a website redesign, you can use content staging to build or modify pages, then publish it all with one click. Database-driven content: Using HubDB, you can build database-driven pages that are easy to update and dynamically change. Just take a look at the new HubSpot case study directory for an example of what you can build with HubDB. Projects: HubSpot projects includes thousands of templates available to help guide you through anything you're looking to accomplish. From a website redesign all the way through setting a content strategy for the next year. 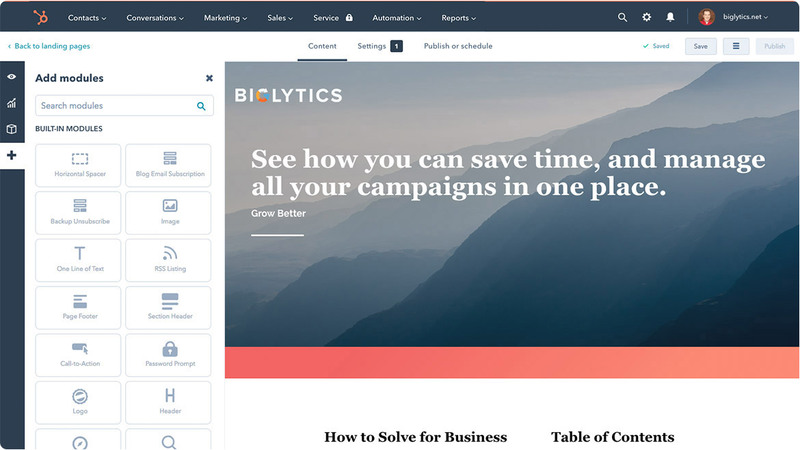 HubSpot CMS includes all the capabilities you need to create great content, optimize it for SEO, and ultimately start to grow your business. 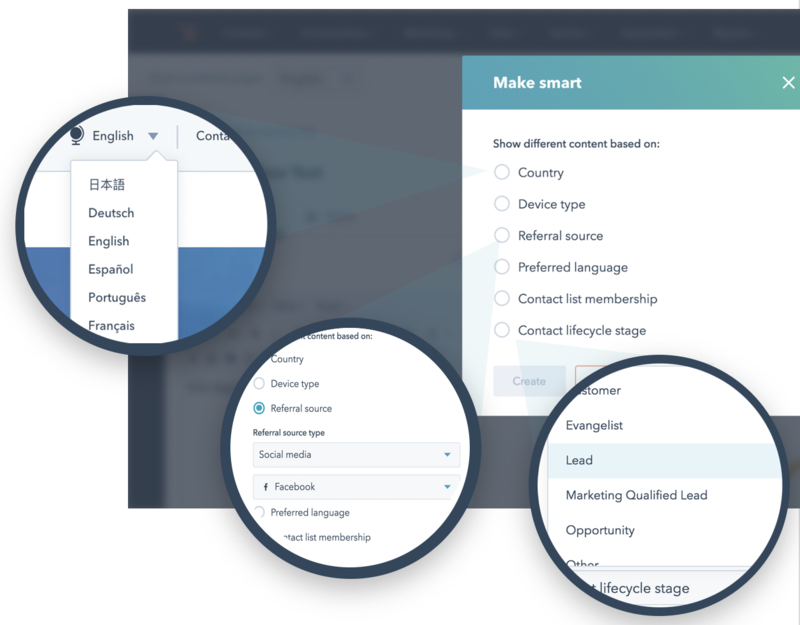 HubSpot CMS has everything you need for a high-converting website already included, and you'll be able to use the integrated CRM to easily personalize content and the entire experience for visitors. It's been a game changer. Traditionally, live chat or conversion tools meant adding another vendor and integrating software. With HubSpot, all the tools you need to engage with visitors are included right out of the box, no additional software required. 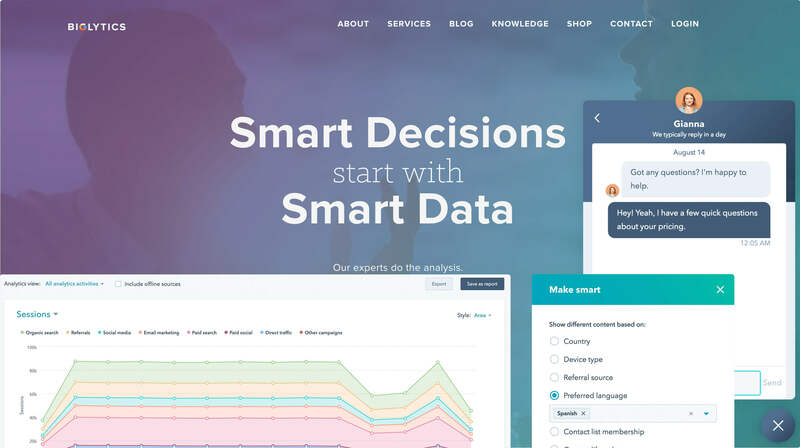 Smart content: Personalize page content, or an entire page, based on anonymous and known attributes of your visitors, and change your website experience over time. Forms, pop-up forms, and CTAs: All the conversion tools you need are built in to HubSpot. From website forms to pop-up forms and CTAs, you can start crafting the perfect customer journey that builds a relationship and grows trust. Live chat and bots: Use HubSpot Conversations and easily add live chat to your website, along with bots that can help qualify leads and answer common questions for you. When you combine live chat with all the other lead capture tools available in the CMS, you can start capturing more interest and building more relationships to grow your business. HubSpot CMS includes reporting tools and also a robust CRM so you can track contact-level insights and report on performance. Traffic analytics: Track individual page and overall site performance within HubSpot CMS. See breakdowns of where traffic is coming from, bounce rate, and much more. HubSpot CRM: HubSpot CRM, voted the #1 CRM for SMBs, is included and automatically integrated with the CMS so you can track contact-level details, build lists of contacts for personalization, and understand the full path from visitor to happy customer. Your CMS is at the core of delivering great experiences, which is exactly why we built and launched the new HubSpot CMS. This new CMS combined with a CRM uses the power of personalization so you can create a website that truly builds relationships. 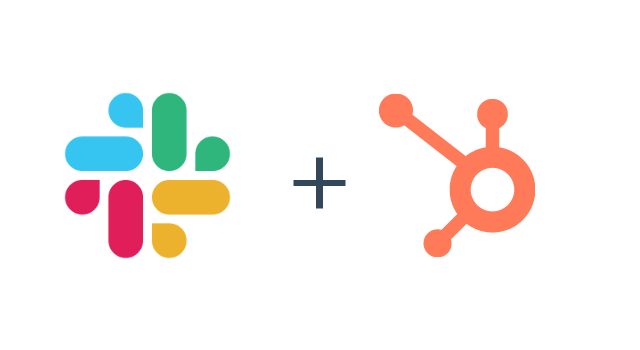 HubSpot CMS is now available to purchase as a standalone product or in combination with any other HubSpot product. We hope you'll join the thousands of HubSpot customers already hosting and running their websites with HubSpot. Please send us any feedback or thoughts, and we'll continue to invest in this product to ensure it's the best CMS for professional marketers.